Arriving just in time for summer, the 2018 Subaru Forester is an exciting option for Subaru lovers! Featuring a new exclusive Black Edition for the 2.5i Premium trim, which receives black accent trim, black finish exterior badging, black cloth upholstery, chrome-finished interior door handles, silver metallic and black-gloss finished dash controls, a rear cargo tray, 18-inch Black alloy wheels and fog lights with black accent trim. The SUBARU STARLINK multimedia system is found on all Forester models and provides infotainment and navigation services. You will love the ever capable of styling and uniquely-Subaru feel of the 2018 Subaru Forester. Read on below to learn more about this ultra-capable vehicle! 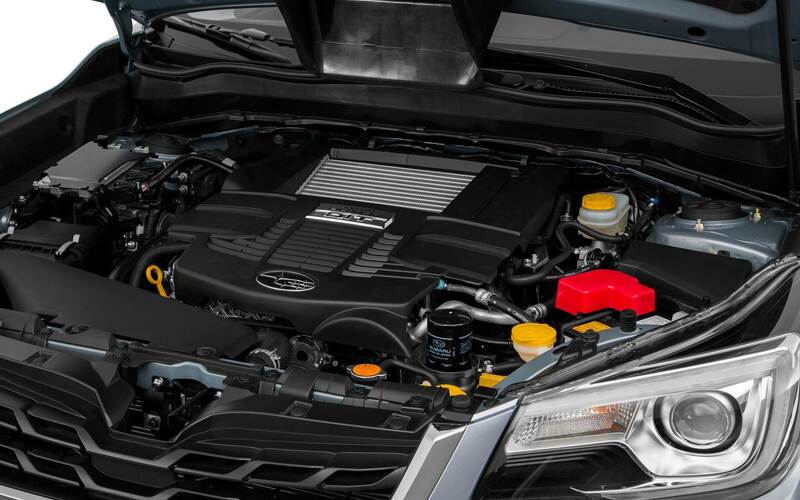 The 2018 Subaru Forester is powered by 2.5-liter four-cylinder BOXER engine that delivers 170 hp. The 2.5-liter engine delivers its legendary all-wheel-drive courtesy of the Symmetrical All-Wheel Drive System. The 2018 Subaru Forester comes standard with a six-speed manual transmission, but offers a Lineartronic CVT (continuously variable transmission) for customers who prefer automatic driving systems. The 2018 Forrester 2.0XT features a 2.0-liter intercooled, turbocharged four-cylinder BOXER engine that delivers 250 hp. Touring trim models for 2018 can expect Active Torque Vectoring as a standard feature. The 2018 Subaru Forester is an impressive, performance minded vehicle you'll love driving! The 2018 Subaru Forester is set to be one of the most stylish and well-appointed Subarus ever made. Featuring an exclusive Black Edition for 2018, the Forester receives hill descent controls, steering-responsive headlights, black-finished badges and mirrors, blacked-out alloy wheels, exclusive black cloth upholstery, silver-stitched leather-wrapped interior accents, the All-Weather Package, a rear cargo tray, a blacked-out front grille with a chrome-accented wing motif frame, paddle shifters and chrome-finished interior door handles. The 2018 Limited trim features a silver metallic center dash with a gloss-black finish, a 10-way power driver's seat with power-adjustable lumbar support, perforated leather-trim upholstery, a power rear gate with auto-close functions, LED steering-responsive headlights, automatic low and high beam adjustments and reverse auto-braking. The top-of-the-line Touring trim receives distinctive features for 2018, like 18-inch alloy wheels, chrome trim side cladding, foldable body-colored exterior mirrors, integrated turning signals and a heated steering wheel. Additional features found on the Touring trim include a 10-way power driver seat, keyless access with push button start, High Beam Assist headlights, Active Torque Vectoring and reverse automatic braking. There are two high tech packages available for the 2018 Subaru Forrester, both part of the SUBARU STARLINK connected services, featuring a seven-inch Multimedia Plus system and the 7-inch Multimedia Navigation system. The STARLINK system adds hands-free SMS text messaging, dual USB ports, SiriusXM TravelLink and voice activated controls. 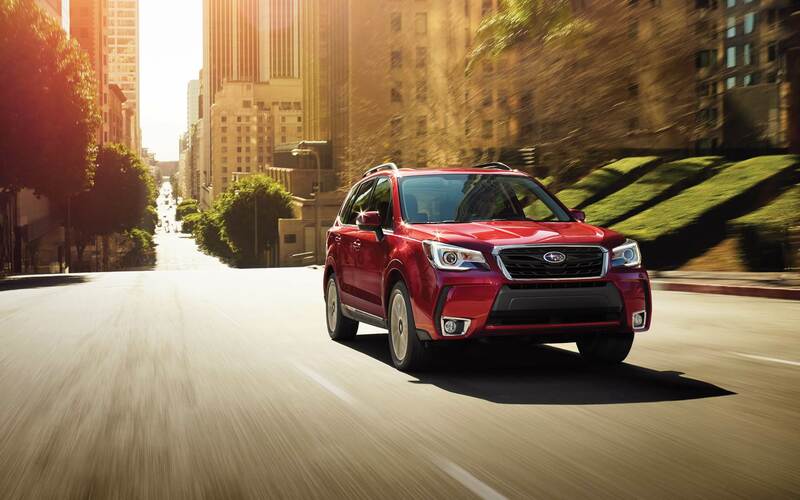 Regardless of how you outfit your 2018 Subaru Forester, you can drive in style knowing you have chosen an ultra-capable, well-equipped vehicle for your family. What features come in the Black Edition 2018 Subaru Forester trim? The 2018 Subaru Forester Black Edition receives black-finish exterior badging, black cloth upholstery, chrome-finished interior door handles, silver metallic and black-gloss finished dash controls, a rear cargo tray, 18-inch Black alloy wheels and foglights with black accent trim, in addition to other exclusive features! Where can I learn about the 2017 Subaru Forester? Can you suggest a good location for servicing my Subaru? We can take care of all your Subaru needs! You can even schedule a service online by clicking HERE! Safety comes first in the 2018 Subaru Forester, which features the STARLINK Safety Plus package complimentary for the first year. Featuring SOS emergency assistance, enhanced roadside services and automatic collision notification, the STARLINK Safety Plus package could make the difference in an emergency situation. 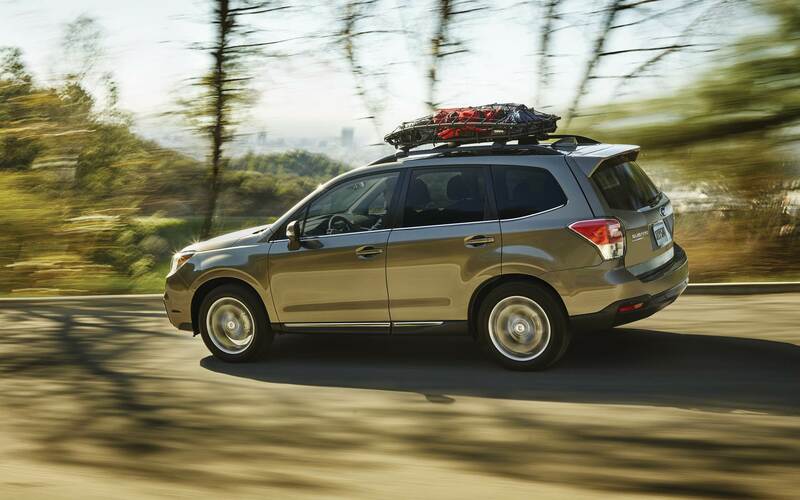 Monthly vehicle health reports, diagnostic alerts and maintenance notifications provide peace of mind and allow you to be intimately familiar with the inner workings of your Subaru Forester. The optional Safety Plus Security Plus package comes with alarm notifications, vehicle security services, vehicle recovery services remote lock and unlocking services, remote horn and light functions and a remote vehicle locater. You will love driving your new 2018 Subaru Forrester as much as the folks at Subaru loved making it. Stop by Reedman Toll Subaru of Downingtown to test drive the 2018 Subaru Forester today!